AIRCRAFT ON TAKEOFF WENT OFF THE END OF THE RUNWAY AND THROUGH A FENCE, WARRENTON, VIRGINIA. Snyderville Basin residents will no longer have to worry about an air taxi service operating during the Sundance Film Festival or their neighbor landing a helicopter near their home. This week, the Summit County Council unanimously agreed to adopt an ordinance that bans private and commercial helicopter landings in the Basin. “I think this reflects how you want the public process to work. We had a situation that arose and we knew that we had to clarify our code to deal with that situation,” said Roger Armstrong, Summit County Council chair. “It went through our planning process and the public turned out for the meeting allowing us to refine the proposal that the community development department came up with and I think it worked at each step. The Basin Planning Commission recently recommended that language be added into the development code to address helicopter use. Planning department staff and various stakeholders, including representatives from the attorney’s office, Deer Valley Resort and helicopter operators, had drafted an ordinance evaluating those types of uses and proposed an application process. The subcommittee was formed after the controversy last January between the county and two private helicopter companies that had set up a shuttle service between Salt Lake City and a landing zoning along Old Ranch Road. County Council members chose to adopt the recommended ordinance without the exception for the special event activities. It will go into effect later this month. Anyone who violates the ban will be subject to a Class B misdemeanor, which is punishable by up to six months in a jail and a $1,000 fine upon conviction. The ordinance establishes clear regulations for helicopter use in the Basin, but does not prohibit existing recreational activities, such as heli-skiing, which will still be allowed under a low-impact permit process in the Canyons Specially Planned Area and Resort Center. Rusty Dassing, chief executive officer of Powderbird Heli Skiing, thanked the County Council for ensuring that he will be able to continue operating his business and affirming “that we are part of the community.” However, Dassing said he still has his concerns. Patty Winterer, a representative of the Glenwild neighborhood homeowner’s association, said the County Council’s decision is evidence they took the public’s input to heart. Winterer said most of the residents in Glenwild support the ban, especially without the exception for special event activities. The Eastern Summit County Development Code remains silent on helicopter use, which, by default, means it is banned. However, some commented during the hearing that the county should consider adding language to it prevent similar issues from happening in areas such as Promontory. According to Dave Thomas, chief deputy attorney, the Promontory development agreement does have language in it that allows for consideration of a heliport. On August 14, 2017, about 0633 Alaska daylight time, a Cessna T207 airplane, N745KP, sustained substantial damage after it ditched in Auke Bay near Coghlan Island subsequent to a complete loss of engine power three miles west of the Juneau International Airport (JNU), Juneau, Alaska. The airplane was being operated as Flight 400 by Kalinin Aviation, LLC, dba Alaska Seaplanes, Juneau, as a scheduled commuter flight under the provisions of 14 Code of Federal Regulations Part 135 and visual flight rules. The commercial pilot and four passengers sustained no injuries. Visual meteorological conditions prevailed at the accident site and company flight following procedures were in effect. Flight 400 departed the Skagway Airport (SGY) in Skagway, Alaska, at 0547, destined for JNU. 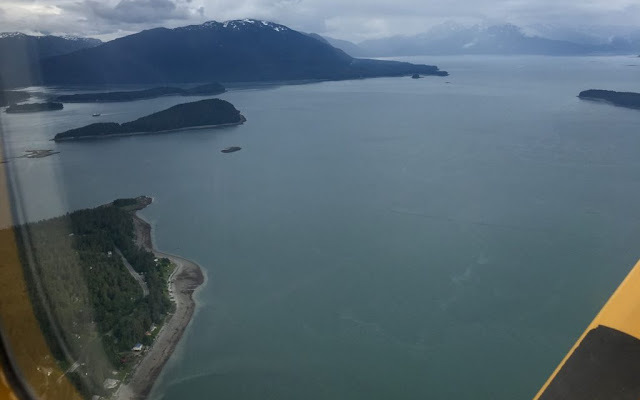 During an interview on August 14 with the National Transportation Safety Board (NTSB) investigator-in-charge (IIC), the pilot stated that the purpose of the flight was to transport passengers from the Haines Airport (HNS) in Haines, Alaska, and the Skagway Airport to JNU. The pilot said that as part of his preflight check, he measured the fuel tank levels with a dipstick and estimated his fuel at 26 gallons in the right fuel tank and 11 gallons in the left fuel tank. He stated that during his preflight that morning, he observed clean, clear fuel after he sumped both tanks and the gascolator. At about 0530 he departed HNS with one passenger and flew about 13 minutes to SGY. He departed SGY at 0547 with three more passengers and flew for about 45 minutes to a straight in VFR approach to runway 8 at JNU. The pilot stated that he placed the fuel selector valve on the right fuel tank for the entire flight. The pilot stated that during the approach, at about 3 miles from the runway and 900 feet altitude, the engine fuel flow reduced to almost zero and the engine lost all power. He switched from the right fuel tank to the left fuel tank and turned on the auxiliary fuel boost pump. Engine power was not restored and the pilot ditched the airplane near the southeast corner of Coghlan Island. Prior to landing, the pilot communicated his intentions to Juneau Air Traffic Control Tower. After the landing, the airplane remained upright and the passengers and pilot egressed through the front doors and swam about 80 feet to the shore. Neither the pilot nor passengers donned their life vests. The airplane then sank in about 70 feet of water. An Alaska Seaplanes Cessna 206 and a Coastal Helicopter Airbus AS-350 rescued the passengers and pilot within 30 minutes of ditching. The airplane was recovered from the seafloor later that evening and transported to secure facility at JNU. The airframe sustained substantial damage to the left wing and fuselage. The fuel tanks were drained of fuel and sea water under the supervision of a Federal Aviation Administration (FAA) aviation safety inspector (ASI). Two gallons of aviation fuel were recovered from the right tank and eleven gallons from the left tank. On August 18, under the supervision of the NTSB IIC, a detailed airframe and engine examination was conducted with Cessna and Continental air safety investigators, the FAA ASI, and a representative from Alaska Seaplanes. Moderate wrinkling of each of the fuel tank bladders was present, with more extensive folds in the right fuel tank bladder. The engine ignition harness and magnetos were changed and the engine ran successfully. The airplane was equipped with a Continental TSIO-520-G5B engine with a total time of 1436.6 hours. A Cessna T207 owner's manual addendum that was present in the airplane listed the unusable fuel as 2 gallons per tank. At 0553, an aviation routine weather report from JNU (the closest weather reporting facility) reported, in part: wind 060 at 3 knots; visibility 10 statute miles in light rain; sky condition, few at 500 feet, scattered at 4,300 feet, overcast at 6,000 feet; temperature 52 ° F, dewpoint 52 ° F; altimeter, 29.78 in Hg. A plane on its way from Skagway to Juneau made an emergency water landing Monday morning. Everyone on board the aircraft swam safely to shore. Haines resident Luck Dunbar was one of them. “Well there you are, you’re sitting there thinking ‘This is it. This is it. Here we go,’” Luck Dunbar recounted. Dunbar boarded the Alaska Seaplanes flight around 5:30 a.m. Monday. The plane flew from Haines to Skagway to pick up three more passengers. Then, it headed for Juneau. Dunbar is a commercial fisherman who was on his way to Sitka to get his boat. Once on board the flight, he took a nap. He woke up to what he describes as the engine making an unusual noise. Soon after, he said the plane started to descend early. He asked the pilot what was going on. “He pointed over by Coghlan Island and he said, ‘I think we’re going to lay her down over here,’” Dunbar said. According to the Alaska State Troopers, the pilot was Haines resident Joshua Poirier. Poirier declared an emergency following an engine failure. That’s according to a press release form Seaplanes General Manager Carl Ramseth. The troopers said Poirier made an emergency landing in the ocean, about 150 feet from Coghlan Island. Dunbar said after hitting the water, they were able to keep the plane upright. Then, they exited the aircraft. All four passengers and Poirier swam to shore. According to the troopers, an Alaska Seaplanes aircraft equipped with floats responded to the scene and retrieved the four passengers. Poirier stayed on the beach and was later picked up by Coastal Helicopters. All of the passengers and the pilot were assessed by Capitol City Fire/Rescue and were released with no injuries. Troopers said the plane that went down was a Cessna T207 on wheels. Its last airworthiness certificate was issued by the FAA in September 2015. It is set to expire in about a year. The National Transportation Safety Board and Alaska Seaplanes are working together to determine the cause of the accident. Ramseth commended Poirier’s actions in the incident. Dunbar thanked the airline, and credits Poirier for the success of the rescue. Alaska Seaplanes is based in Juneau and operates daily flights to communities in Southeast Alaska. Seaplanes gained a monopoly on its market after competitor Wings of Alaska shut down in March. Dunbar said this incident has not deterred him from flying. “I’ll be flying happily for the rest of my life knowing that can’t happen twice, right?” he said. In fact, Dunbar got on another Seaplanes flight to finish his trip to Sitka the same day. Editor’s note: This story has been updated and expanded with comment from passenger Luck Dunbar. An Alaska Seaplanes aircraft force landed Monday morning near Coghlan Island in Auke Bay on a flight from Skagway to Juneau, but its four passengers and pilot are uninjured. Capital City Fire/Rescue Assistant Fire Chief Ed Quinto confirmed the five people were wet — they had to swim to the island — but unharmed. According to the Alaska Rescue Coordination Center, the small plane’s automated distress beacon activated at 6:35 a.m., not long after its pilot radioed the Juneau airport and reported engine trouble. That account of events was confirmed in a press release from Carl Ramseth, general manager of Alaska Seaplanes. National Transportation Safety Board aviation accident investigator Noreen Price is working with a Federal Aviation Administration investigator in Juneau to determine what happened. Price interviewed 33-year-old pilot Joshua Dee Poirer by phone soon after the accident. “He had a complete loss of engine power,” she said. Three miles from the airport and nearing ground level, Poirer had no way to reach the runway. He turned the plane and ditched in the ocean about 80 feet from the eastern shore of Coghlan Island. “The pilot did a great job of managing this,” Price said. Quinto said by phone that his department received a call for help as this was happening. Rescue crews went to Don D. Statter Memorial Harbor and prepared to help, but the pilot and passengers “were close enough to shore that all five people were able to swim to shore,” Quinto said. A Temsco helicopter also responded and confirmed all five were on Coghlan Island, Quinto said. Price said the accident happened so quickly that neither the passengers nor the pilot had time to don life jackets. “By the time they knew they were ditching in water, it was too late,” she said. According to Alaska State Troopers, an Alaska Seaplanes floatplane picked up all four passengers from Coghlan Island while the pilot, Poirier, remained on the beach before being picked up by Coastal Helicopters. Coast Guard Petty Officer 1st Class John Paul Rios said the Coast Guard was preparing to assist as well, but by the time it arrived on scene, the passengers had already been picked up. Quinto said the passengers were taken to Alaska Seaplanes’ facility in Juneau, where they were examined by medics and found to be unharmed. The plane sank after landing in the water, Troopers said. The Coast Guard team responding to the crash was subsequently sent (with Troopers and SEADOGS) to assist a missing hiker on Sullivan Island, just south of the Chilkat Peninsula. That hiker was found on the beach unharmed by a good Samaritan boat, said Coast Guard Petty Officer Charly Hengen. The crashed plane was a Cessna 207 built in 1974 and registered to Kalinin Partners, LLC. The plane’s last airworthiness certificate was dated Sept. 25, 2015 and was scheduled to expire in September 2018. Price said the plane will be taken to a hangar where the Federal Aviation Administration investigator and NTSB will examine it and the plane’s maintenance records to determine what caused the accident. She added that the crash should remind passengers to dress for outside conditions and listen to their emergency briefings: No one expects an emergency, but it doesn’t hurt to be prepared. Alaska Seaplanes flight ST745 force landed off shore Coghlan Island. The flight instructor reported that during taxi the airplane started to lean to the right, so he looked out of his window to see if the right tire was flat. He further reported that “the ramp was opening up into a 2 foot wide dark black hole” underneath the right main landing gear. The flight instructor and student pilot egressed from the airplane without further incident. A postaccident examination revealed substantial damage to the empennage. The flight instructor reported no preaccident mechanical malfunctions or failures with the airplane that would have precluded normal operation. Photographs provided by Federal Aviation Administration showed that the right main landing gear had broken through the pavement into a sink hole underneath. The airplane’s encounter with a developing sink hole during taxi on the ramp area. AIRCRAFT DURING PREFLIGHT IN NON-MOVEMENT RAMP AREA, THE PILOT WAS STRUCK IN THE HEAD BY THE PROPELLER, GILLESPIE AIRPORT, EL CAJON, CALIFORNIA. To those he has vanquished in court - the aviation giants that have paid hundreds of millions of dollars to his crash-victim clients, the critics he has sued for libel, and most recently the Lower Merion School District, ordered this week to revoke a tax hike - it may come as a surprise that lawyer Arthur Alan Wolk loves puppies. "She's the sweetest thing on the planet," Wolk said, fussing over his new 13-week-old golden retriever during a phone call Wednesday from his vacation home in Del Mar, a beach town near San Diego. The pup is a replacement for his beloved Boo, who died March 1 at age 9. "I'm still grieving for her," said Wolk, 72 and semiretired. He wrote about Boo's early years in a book, Recollections of My Puppy, and donated the proceeds to the Philadelphia Animal Welfare Society. Yet the persona Wolk projects in a courtroom is less playful golden than pugnacious pit bull - an image he has underlined with the lawsuit against the Lower Merion school system, a taxpayer victory thought to be unprecedented in Pennsylvania. Wolk, who lives in Gladwyne, argued that the district misled township residents into believing a large tax increase was needed to avoid a deficit this year when school officials were actually hiding millions in surpluses. On Monday, Montgomery County Court Judge Joseph A. Smyth agreed with Wolk and ruled that the school board had to rescind the 4.4 percent hike. Any increase, the judge said, could be no higher than 2.4 percent. On Wednesday, the district appealed the decision, but not before Superintendent Robert Copeland sent a letter to parents defending its fiscal practices and painting Wolk as an enemy of public education who wanted to make it "inherently inferior to private school education." In the interview, Wolk called Copeland's letter "inflammatory" and "wrong," and the district "arrogant." That was an opening salvo. He wants district administrators removed from office, he said, and plans to launch a "Dump the Lower Merion School Directors" movement to run a slate of independent candidates. The Lower Merion case was Wolk's first foray into education law. "Once you learn how they [school systems] work," he said, "it makes your head swim." 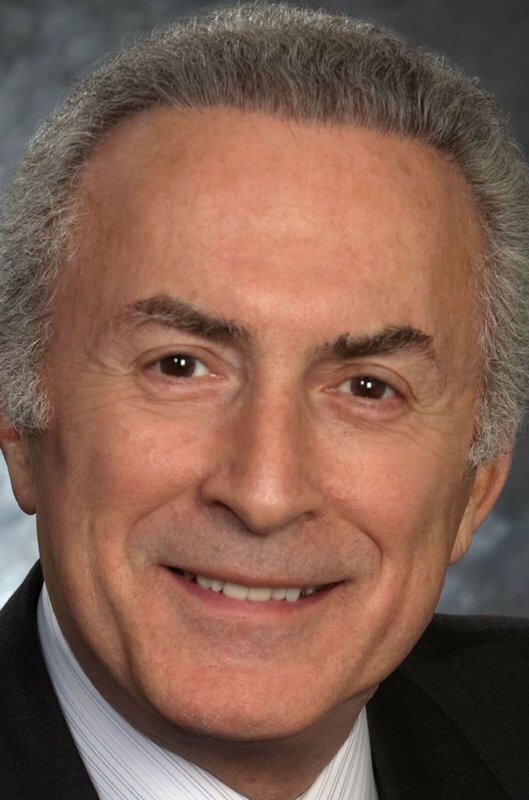 He is far better known for his work as a topflight aviation litigator, founding partner of the Wolk Law Firm in Philadelphia, which according to its website has handled crash-related cases resulting in more than $1 billion in settlements and verdicts in the last decade alone. Wolk ascended into the specialty's stratosphere from an impoverished beginning in Oxford Circle, earning his law degree from Temple University. He is an accomplished pilot, although that avocation was nearly the end of him two decades ago. En route from Michigan to an air show in Virginia in 1996, he broke his back and an arm in a bad landing of his Korean War-era Grumman F-9F Panther fighter. Wolk has sometimes hauled the remains of planes to court as exhibits. In 2010, he parked a salvaged single-engine Cessna 210 under a tent outside City Hall to use at trial in a case against the aircraft manufacturer. He was representing two people aboard a Cessna when it crashed in 2005 in Idaho. Among his more recent cases was the plane crash that killed Lewis Katz, co-owner of the Inquirer, the Daily News, and Philly.com, and six others in June 2014 in Bedford, Mass. He represented the families of two of the victims. Wolk is not known to suffer detractors gladly. He is known instead to sue them. His libel litigation has been so prodigious that a 2011 story on Consumer Law & Policy Blog carried the headline, "Has Arthur Alan Wolk Finally Learned That He Cannot Sue Every Critic?" Lawyer George Bochetto describes him as a brilliant lawyer and "intense." He represented Wolk in a libel suit against the law blog Overlawyered.com, and many others, for their coverage of another of his suits, against the aviation website AVWeb.com for its story on his record $480 million verdict against Cessna. Paul Rosen, another lawyer who has represented Wolk in civil cases, also said he was a "brilliant strategist" but noted he could be "caustic," with a short fuse. Rosen said Wolk's lawsuits against critics often stem from airplane manufacturers' attempts to smear his reputation and keep him from winning cases. "He attacks every one of them," Rosen said. "He's not someone to back down. . . . His livelihood depends on the quality of his reputation." Keith Knauss knows little about the world of aviation law. But he knows about school budgets. A former Unionville-Chadds Ford school board member, he wrote a letter to a local paper last winter complaining about Lower Merion's "fictitious budgeting." Wolk read it, called him, and invited him to his house to talk about it. That conversation led to the lawsuit, in which Knauss was the plaintiff's only witness. Wolk's two children did not attend Lower Merion schools; they graduated from Cheltenham High School and Abington Friends School. But "he's got a large house and pays lots of taxes," said Knauss, adding that he thinks Wolk viewed the suit as a "civic service." Wolk said he thought it was "worthy." The median refund of $1,400 that Smyth said taxpayers might eventually receive is kibble compared with what he said he spent out-of-pocket on the case. As of Wednesday, he said, he had received 50 or so emails - all but one supportive. He said he also got a death threat. Lower Merion police confirmed they were investigating. If they identify the culprit, Wolk said, he would sue the person. When asked about his penchant for libel suits, however, the lawyer said he didn't want to talk about it and wouldn't let anyone "take my money or my reputation." He ended the conversation and hung up. As Boo, the golden retriever, said in the book Wolk wrote about her: "Dad has been home with me after work every day and wrestles with me every chance he gets. He always wins even when I try to bite him." The solo student pilot reported that the airplane ballooned during the landing flare and touched down beyond the planned touchdown point. He further reported that the airplane porpoised and on the third bounce he felt a vibration. Subsequently, the airplane departed the runway to the left and stopped in grass next to the runway. The student pilot's incorrect pitch control during the landing flare, which resulted in a porpoise, a loss of directional control, and a runway excursion. The United States Parachute Association has announced at least 10 tandem skydiving instructor certifications have been revoked following a fatal tandem skydiving accident in Lodi. Those 10 tandem skydiving instructors have had their certifications suspended and must undergo new training, 107 are being required to undergo refresher training within the next 30 days, and another 15 are being required to go through the refresher training and send in proof of original course completion, according to Ed Scott, executive director of USPA. A number of these instructors attended courses at the Lodi Parachute Center. USPA officials say some courses may have been abbreviated or incomplete and post-course ratings may have been submitted with forged signatures. The re-examination comes after a recent fatal tandem skydiving accident in Lodi, in which it was revealed an instructor lacked the proper certification required by the Federal Aviation Administration. Plans are on course for a smooth takeoff next month when Southern Airways Express begins operating Johnstown commuter flights. With six flights a day from Johnstown, four from Altoona and six from DuBois, travelers from the west-central Pennsylvania area will have many options to connect with larger carriers and low-rate airlines at three major airports, Executive Vice President Mark Cestari said. Three daily round-trip flights from John Murtha Johnstown-Cambria County Airport will go to Pittsburgh International Airport and the other three will continue the connection with Dulles International Airport outside Washington. Fares will range from $29 to $59 a seat for every Pittsburgh flight and $39 to $89 for Dulles. Southern flights from Altoona and DuBois will go to Pittsburgh and Baltimore-Washington International Thurgood Marshall Airport. 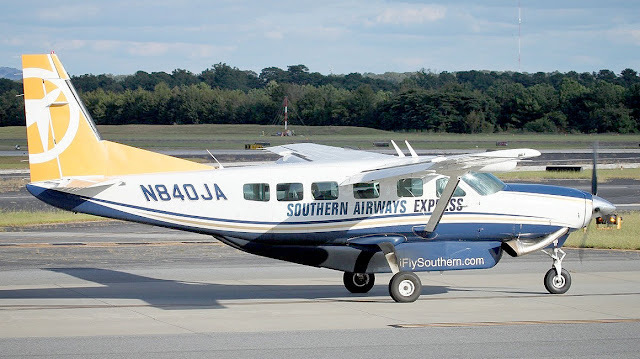 Earlier this week, the federal Department of Transportation announced Southern Airways Express had been selected to serve Johnstown, Altoona and Johnstown airports under the federally subsidized Essential Air Service program. Within days, the three airports were informed they were being dropped from the EAS program because of low ridership or high costs. Airport officials said they are confident the local airports will receive a waiver because the current carrier, Silver Airways has been unreliable. Southern will operate nine-passenger Cessna Caravan aircraft, Cestari said, adding that the smaller planes allow the low-cost regional airline to offer more options from each airport. Southern does not charge a baggage fee, he added. The Cessna Caravan’s dependability has been proven not only by FedEx, but also by its service connecting remote areas of Alaska, Cestari said. Johnstown’s airport authority agreed to allow Southern to operate the single-engine Cessna because of its proven dependability, Kalina said. As an independent air carrier, Southern’s passengers will have a few more steps in transferring to other airlines. Although most take their baggage to the connecting gate, Cestari said, most checked bags won’t require a baggage fee on the other airline. Transferring passengers will get priority check-in, he added. Southern’s business plan focuses on getting travelers to the greatest number connecting flights and options. Some travelers prefer the major airlines’ service and are willing to pay for the amenities, Cestari said. Others are looking for low cost airlines. Dulles is home to a United Airlines hub, offering connections worldwide. Pittsburgh features a selection of low-cost airlines. A spare crew and plane based in Pittsburgh will available if there are problems. “Those are the reasons we think our service level is going to be exceptional,” he said. Although there have been no discussions with current Silver Airlines employees at the airport, Cestari said Southern would prefer to hire those with experience in the market. Just over a year ago, Allegiant Air pilot Jason Kinzer was sitting in the cockpit of a 24-year-old McDonnell Douglas MD-80 aircraft bound for Hagerstown, Md., having just taken off from St. Petersburg, Fla.
As the plane climbed through 2,500 feet, a cabin attendant alerted Kinzer to a strong burning smell. Alarmed, Kinzer turned Allegiant Air Flight 864 back toward the airport. Fire and rescue crews met the plane on the runway as smoke wafted from an engine. Kinzer told the 144 passengers to disembark. He then helped a flight attendant carry a paraplegic passenger to the exit. It seemed to be model behavior. But Allegiant Air did not praise Kinzer. It fired him. Kinzer’s saga, now the subject of a court case in Nevada, involves one of dozens of incidents that have prompted scrutiny of the safety and maintenance practices at Allegiant Air, a low-cost carrier that has found a profitable niche in serving airports in small-to-midsize cities. In an industry that has habitually struggled to make money, Allegiant’s soaring earnings stand out. Last year, its profits jumped 154 percent, to $220.4 million, as the carrier — relying heavily on cheaper, previously used planes — flew more than 300 routes. In June, Allegiant announced a dozen new routes and three new cities, for the first time competing with major carriers at airports in Newark and Denver. 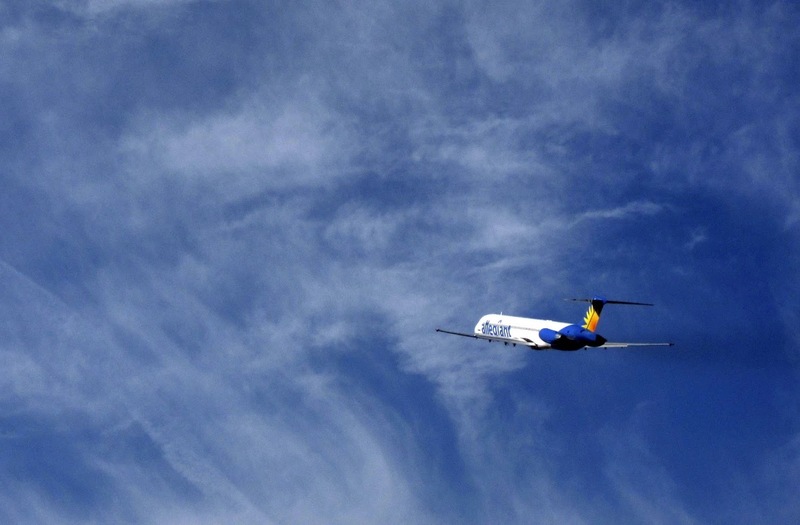 But observers with various interests and viewpoints are asking whether Allegiant has pursued fast growth and financial success at the expense of other considerations. Unwanted attention has come from federal regulators worried about safety, investors betting against the stock, a pilots union concerned about maintenance, and corporate governance experts who fault the airline’s cozy board of directors as not doing more to head off problems. About 300 pages of Federal Aviation Administration records for Allegiant show a pattern of safety problems that triggered a relatively large number of aborted takeoffs, emergency descents and emergency landings from Jan. 1, 2015, through this March. The Allegiant records were obtained in a Freedom of Information Act request filed by Robert MacArthur, owner of Alternative Research Services, a consultancy that caters to short sellers — investors who benefit when company share prices drop. Allegiant had about nine times as many serious incidents over that period as Delta Air Lines had with similar types of planes of similar vintage — even though Delta was flying about three times as many such planes, according to a Washington Post analysis of FAA documents relating to both companies. But leading experts said Allegiant needs to pay closer attention to its aging aircraft. Allegiant said that its “safety protocols emphasize putting the safety of passengers foremost.” And in July, the company said it had agreed to depart from customary practice and buy 12 new Airbus A320s for delivery by 2018. The chief executive of Allegiant Air is Maurice “Maury” J. Gallagher Jr., who ran ValuJet until one of its planes plunged into the Florida Everglades in 1996, killing all 110 people aboard. In 1999, after ValuJet was merged into AirTran, Gallagher started building a new carrier, Allegiant Air, which now has about 80 planes serving about 113 airports. The Las Vegas-based company became the darling of Wall Street. It was the subject of a glowing article in Fast Company. It made Fortune’s list of fastest-growing companies. Aviation Week in 2013 named it the top-performing small carrier in the world. Although the stock has lost nearly half its value since its peak of $234 a share last year, it has increased more than fivefold in the past decade. Analysts hailed Gallagher’s strategy of buying older MD-80s, often for a tenth of the $40 million to $50 million its competitors were paying for new aircraft. The average age of Allegiant’s MD-80 fleet is 26.49 years; recently added Airbus planes also are used, with an average age of 14.2 years. But Allegiant Air has run into trouble. All airlines must file reports about safety and maintenance incidents with the FAA. After Allegiant’s spate of midair incidents, the agency moved up a periodic evaluation of the airline that had been scheduled for 2018. “The purpose of these reviews is to verify a company is complying with the applicable regulations; determine whether it is operating at the highest possible degree of safety; and identify and address any operational/safety issues,” the FAA said, although it would not comment on Allegiant. Later, in a July 18 letter to Allegiant, the FAA said it had “identified several element design and element performance deficiencies” — such as software that did not meet FAA specifications and a failure to notice fractures in a right-engine pylon — and ordered the airline to come up with a “mitigation plan” by Sept. 30. The FAA said two findings “revealed possible regulatory issues” but did not describe them. Schiavo — author of “Flying Blind, Flying Safe,” a book critical of the FAA — said the agency needs to take a tougher stance. “I think that the FAA bears some responsibility for this horrible track record,” said Schiavo, who works at the law firm Motley Rice, which specializes in class-action lawsuits but has not been involved in any cases involving Allegiant. 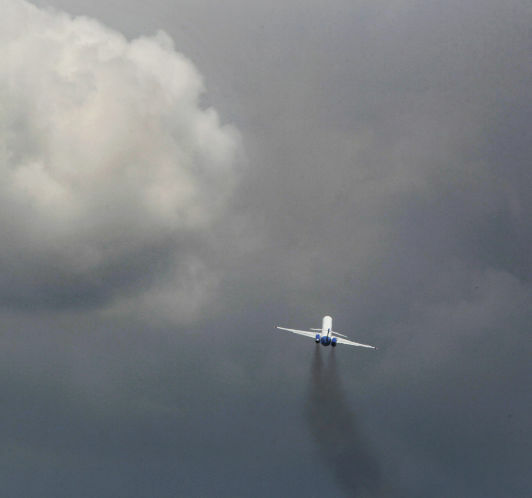 “The FAA sees its job as promoting the airlines and keeping them flying. They really try to keep just about any hunk of junk” flying. An Allegiant spokesman, Hilarie Grey, referred The Post to the FAA for comment. The FAA did not elaborate. The FAA said it “will closely monitor” the carrier’s efforts. The FAA’s Service Difficulty Reports cover issues ranging from a burned-out light bulb on a cabin exit sign to an engine failure. The Post examined FAA reports from Allegiant for 15 months ending in March and focused on the three types of operational incidents that aviation experts deem most significant: emergency descents, unscheduled landings and aborted takeoffs. The Post then compared Allegiant’s record with Delta’s by obtaining and reviewing reports filed by Delta for the same aircraft models for the same period. Delta flies more than twice as many MD-80s and MD-88s and more than four times as many of the Airbus models, but Allegiant had many more serious incidents. Allegiant told the FAA that its 50 McDonnell Douglas planes — including DC-9s and MD-80s — had 50 unscheduled landings, five emergency descents and eight aborted takeoffs. From Jan. 1, 2015, through the end of March 2016, Delta reported that its 117 MD-88 aircraft had six unscheduled landings, one emergency descent and no aborted takeoffs. For its 30 Airbus jetliners, Allegiant reported five unscheduled landings, two aborted takeoffs and one emergency descent. Delta reported that its 126 Airbus planes had one unscheduled landing, no aborted takeoffs and no emergency descents. Repeated problems with other Allegiant MD-88s were common. One aircraft made three unscheduled landings. Another was met by firetrucks this year after an engine failed in flight. Six months earlier, the same plane made an emergency descent and an unscheduled landing after its instrument panel started to smoke. That incident occurred 10 days after the same plane made an unscheduled landing when the tail compartment next to the plane’s engines overheated. “I just don’t like the look, feel or smell of their track record,” Schiavo said. A caller to the FAA’s hotline said that an Allegiant DC-9-83 suffered engine failures twice, on July 31 and Aug. 3, 2015, both times en route to Richmond from St. Petersburg. On one of those flights, the crew reported the smell of burning rubber and a grinding noise followed by the failure of an engine. A maintenance crew later found a compressor “severely damaged,” and the engine was replaced, the FAA said. Bricker said that Allegiant takes “older airplanes to isolated areas, where we don’t have our own mechanics” and therefore they are more likely to turn back if there’s trouble. Allegiant says the controversy about its safety record is due in large part to the International Brotherhood of Teamsters. The airline’s pilots voted to join the Teamsters in 2012 and, after prolonged negotiations, reached an agreement with the company on June 21. A company spokesman said the union had made a “significant effort” to create “negative media coverage” of Allegiant. The company said that “one of those tactics” was to issue safety reports about the fleet. Allegiant says it will spend more on maintenance this year. According to the MIT Airline Data Project, Allegiant’s maintenance spending hit $72.7 million in 2011, then fell to $33.6 million and $38.7 million the next two years, less than in any other year since 2008, when it was a much smaller company. Maintenance spending climbed again, to $62.3 million, in 2014. The company said that it is in regular contact with the FAA and that its maintenance programs are “in accordance with all standards of the airline industry.” On Aug. 5, it cut the ribbon on a new training center in Florida for pilots, flight attendants and mechanics. Higher maintenance spending could cut into profits — and the company’s stock price. The fortunes of chief executive Gallagher are tied to that performance. Although he does not take a base salary, he owns about 20 percent of the company and received more than $4 million in dividends last year. On March 9, he sold shares of Allegiant worth $47.8 million. Despite the string of safety incidents in 2015, the company’s board also gave him a nearly $3 million bonus, putting his total compensation for that year at the same level as his counterpart’s at low-cost rival JetBlue, which is about four times larger. Kinzer isn’t flying these days. Broke and unable to get a job in aviation, he is trying to start a photography business and is waiting for the court case to begin. Bricker and Wheeler declined to comment on the litigation. 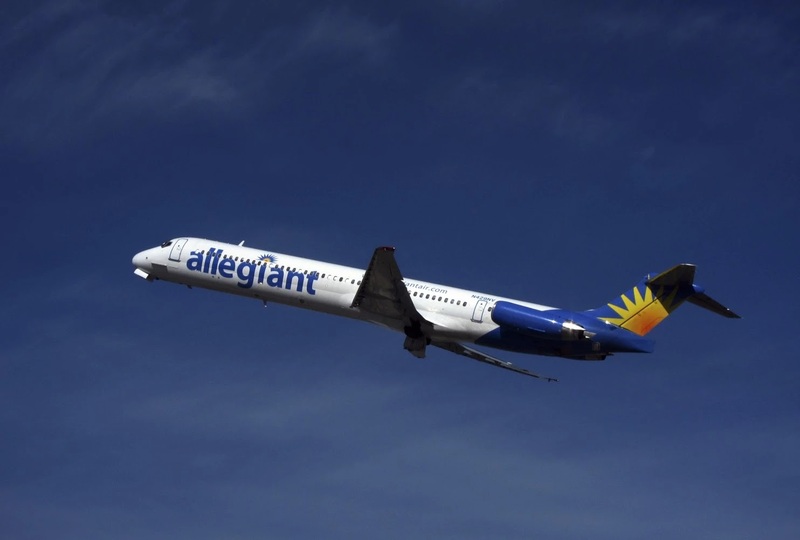 Allegiant’s attorneys in Nevada moved in federal court to have the case dismissed. A judge rejected the motion and sent the case back to state court.